With seven total awards, the webtoon “W Two Worlds” was the biggest winner at the 2016 MBC Drama Awards. 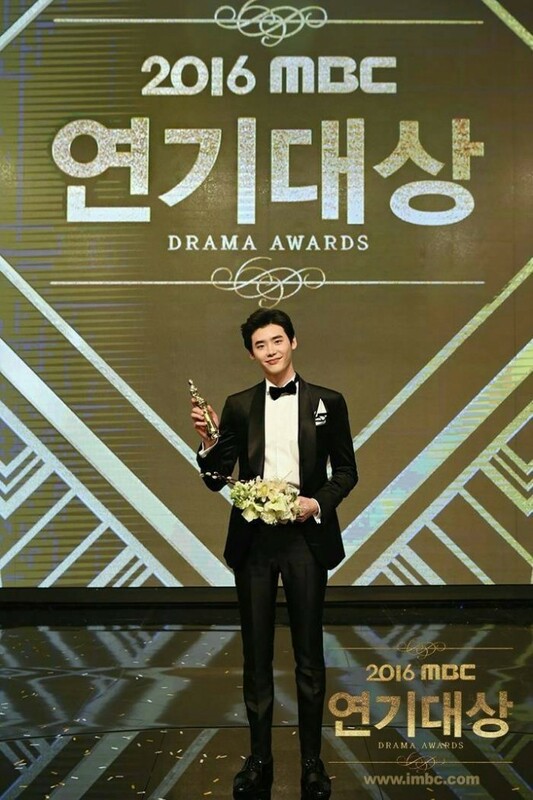 Actor Lee Jong Suk was the Grand Prize Daesang award, but his very short acceptance speech and even the awardee determined by fan vote only were criticized by netizens, AllKPop reported. Besides Lee Jong Suk, Song Jae Jung won Best Scriptwriter of the Year, Han Hyo Joo and Lee Jong Suk were the Best Couple, Kim Eui Sung got the Golden Acting Award, both Han Hyo Joo and Lee Jong Suk received the High Excellence Awards in the Mini-series category, and “W” won Drama of the Year, Soompi reported. In his 40-second speech, Lee Jong Suk thanks fans and some people, but because it was very brief, the MCs asked the actor to add more. He admitted taking two herbal supplement relaxation pills and becoming drowsy because of the pills, so he could not say more. However, his reply was seen as rude by some netizens. It further led to netizens questioning the Daesang determined 100 percent by fan votes which should be by performance. Others opined that Kim So Yeon is more deserving of the award than Lee Jong Suk.